Can You Recycle Junk? Yes, You Can! California has been leading the charge for recycling ever since the concept came into being in the early 70s. Anyone living here knows how important it is to sort paper, plastics, aluminum and cardboard in the kitchen. Those are all positive steps to take in order to help California achieve zero waste. However, just recycling your kitchen trash won’t be enough. You should think about recycling anytime you throw something out and that includes bulky junk items. There’s one company that can become your perfect junk recycling partner. That would be Junk King San Diego. Junk King San Diego is part of a national chain of professional junk haulers who have been dedicated to an eco-friendly way of getting rid of things ever since they began collecting junk over 10 years ago. Wherever Junk King sets up a new franchise, they have the marching orders to establish relationships with recycling centers and charities. Junk King San Diego is no exception. They know the organizations that can take in furniture, clothing and other household goods. They also know where to dump chunks of concrete, lumber, bricks and even piles of dirt. If it can be recycled, then Junk King San Diego is going to strive to make it happen. 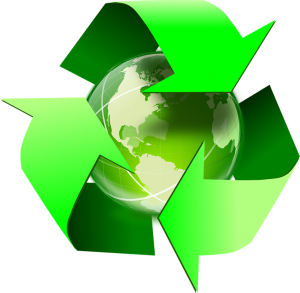 The best part of Junk King San Diego’s recycling program is that is not going to cost you anything extra. It’s all part of their complete junk removal package. Their prices are determined not by the pound or by how long the crew will be working. Instead, the price is based on an estimate of how much room your junk will fill up on the back of their truck. Some pickups take up the entire truck while others just use half the space. Whichever side your stuff falls on, you’ll know what that fee is before the work begins. This is a very fair price that is much more inexpensive than it would be if you were to rent your own truck and hire your own day laborers. As for scheduling, you can set up an appointment online or over the phone. You can always be assured of a prompt response. When it comes to clearing away rubbish, Junk King San Diego is the perfect junk recycling partner. This entry was posted in San Diego junk removal and tagged junk King, junk recycling, junk removal on September 30, 2017 by Junk King. Last updated October 1, 2017 .